Email marketing has a higher ROI, click-through rate and conversion rate than social media, direct mail and traditional marketing. Email marketing is the only form of marketing where you can directly talk to your clients – past, present and future. In a world full of automation, your customers want to know you care about them as individuals. When someone needs an email, they know where to look – 70% of people who open an email look at it more than once. One of the of the most powerful email marketing softwares, MailChimp sends 600 million emails a day. MailChimp integrates seamlessly with all your favorite apps and software. About 53% of emails are opened on mobile devices and 1 in 3 clicks within an email occurs on a mobile device. It’s not enough to just send out an email once a month. You have to actively collect new subscribers. Our designers can create engaging, branded lead generation forms for you to use throughout your site. Pop-ups can be triggered by timed delays or when a visitor performs an action like scrolls to the bottom of a page. The pop-up is one of the most effective ways to generate and convert leads. Fly-ins can be set to appear after a certain amount of time or actions. They are similar to pop-ups but less intrusive to your visitors. Gating content is one of the easiest ways to collect new email addresses. When you're offering premium content, visitors are more likely to engage. The sidebar opt-in is simple and convenient. Place it anywhere on your website and visitors can opt-in when they want to. *The above packages and pricing are based on the use of MailChimp and only MailChimp. Creative Click Media can provide you with a custom package if you use another email marketing provider. The price of a MailChimp account is not included in the above packages. Client is responsible for all MailChimp fees. 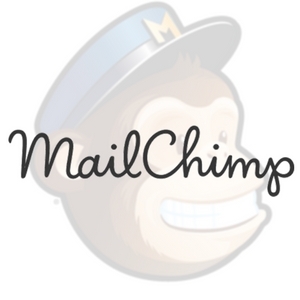 MailChimp is free for up to 2,000 subscribes. Automation is not included in free MailChimp accounts.